Help your business appear in results pages when people are searching for businesses like yours on Google Search and Maps. Google My Business makes it easy for your organisation to be found, and bring customers in. Google has over 1.2 billion unique users per month and is an amazing marketing opportunity for any business but, getting set up can be daunting to new users. We want to help our customers create and establish their presence online so we’re offering to set up a Google My Business page, which can then be found via Google Search and Maps. Google My Business helps businesses stand out from competition and connect with customers. A Google page will also help your business rank high on Google search results and makes it easier for customers to find directions, your business hours and contact information, whether they are searching on their computers or mobile devices. 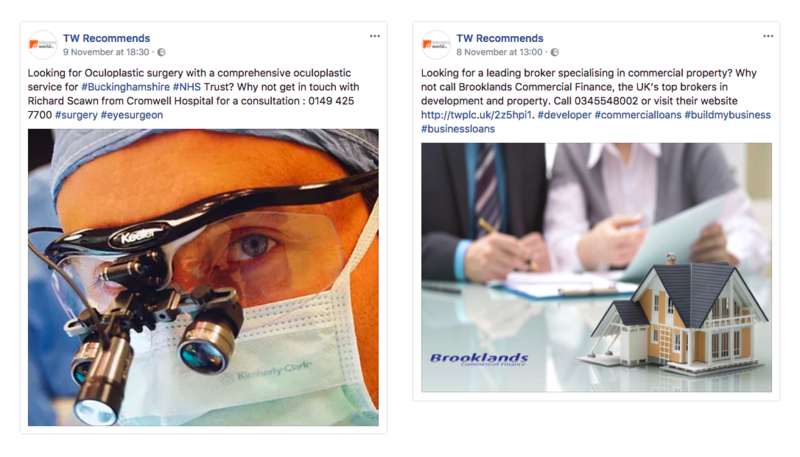 We also have over 30,000 connections through our social media platforms so, in addition to creating your Google page, we’d be happy to promote your business through social media. Simply give us some information about your business and let us share within our network to help you connect with potential new customers. Contact us today to get your business on Google and social media in a matter of days.